We have helped over 12,000 people reverse the nicotine habit, and still counting. For more than a decade, the THERAPIELASER.ca team has improved laser acupuncture technology to the point where we have one of the most documented smoking cessation programs in Canada. We can help you quit smoking for good. Physical – Laser/electronic stimulation of acupressure points on the ears and other parts of the body to increase endorphin levels, relax you and minimize or eliminate cravings, and appetite control. Psychological –Printouts/handouts, tips, tools and one on one coaching. Detoxification – We eliminate from your body the thousands of dangerous, toxic and chemical poisons that resulted from inhaling burning poisons hundreds of times a day. Therapy consists of laser treatments, natural product therapy and a support program. 12-month warranty. Some Conditions apply, please call us. Additional free laser treatment as needed. The infrared laser is a method of smoking cessation that has been used for a long time in Europe, Australia and increasingly in Canada by auriculotherapists, acupuncturists, physiotherapists, dentists, dermatologists, obstetricians and many other health professionals. Several studies in Europe and the United States demonstrate the effectiveness of the infrared laser in the treatment of several pathologies, including tobacco dependence. Treatment effects stress, appetite, anxiety and addiction. This method allows an effective cessation of tobacco / electronic cigarette and makes it a high-tech variant of auriculotherapy, practised for centuries, and has proved its worth in healing addictions. To stop smoking, the laser is inspired by this method and stimulates the strategic points of the ear corresponding to the treatments of the dependencies. For smoking cessation, in particular, acupuncture gives incredible results. 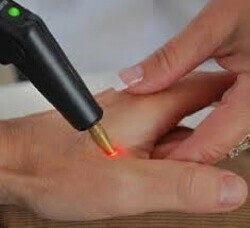 Laser treatment, without needles and 6 times more effectiveness, is an alternative of choice to nicotinic substitutes. Its extreme effectiveness in the treatment of addictive addictions is now highly recognized by medical institutions. QUESTIONS: TOBACCO AND ELECTRONIC CIGARETTE! 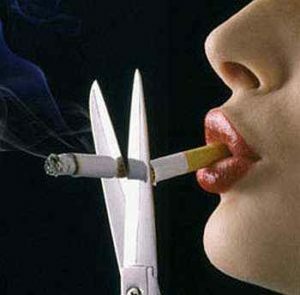 What is ‘Stop Smoking’ Laser Therapy? Laser therapy, as the name suggests, is a highly concentrated low-level laser beam which does not exceed the intensity of a 60-watt bulb. 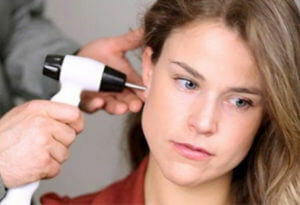 The laser stimulates the relevant meridians around the ears, exactly like acupuncture but without needles. 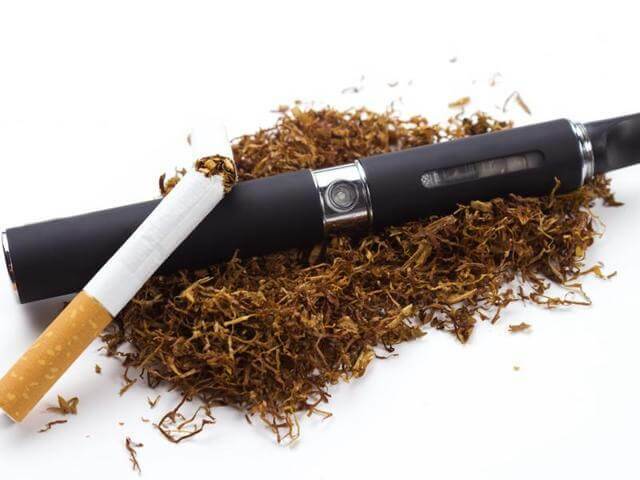 The laser method works on nicotine addiction, stress-anxiety, and appetite control mainly. It is also safe, painless and has no undesirable side effects. Is this an entirely new method? No, it has been practised successfully in Western countries for about 40 years. Our technology that evolves over time offers increasingly sophisticated means to achieve a more efficient treatment. Laser treatment, consultation and other treatment as needed costs $ 249. To reduce withdrawal symptoms, we suggest natural supportive products which can be purchased in a pharmacy. Results are guaranteed for a period of one year. Please call about our conditions. Is it refundable by my insurance? Most insurance companies reimburse it and/or it can be tax deductible. Lasers have evolved since the revealing study at Middlesex University when the results of 70% were already impressive. However, more recent results and our own experience with our clients are even more impressive with a success rate of 95%. This method works very well and for this reason, it is guaranteed for one full year. Absolutely not. Because there are no needles and we do not penetrate the skin, you would feel no effects. Rare testimonials speak of tickling felt during the treatment, but that’s about it. The treatment is really painless and is even very relaxing. Can I really quit smoking from the first treatment? Frankly, yes, but only if you have the willpower. This must be very strong. My name is Myra and I was at your clinic on Monday. I was soooooooo thrilled with myself right now. I have NO DESIRE AT ALL TO SMOKE and only hope that this continues. I have called and have spoken to at least 20 people who might be interested in the laser therapy. You mentioned to me that if they come in with your card they can get the $100. special Unfortunately, I only took 2 cards. Is there something you can do. As well, I have a new doctor (i'm lucky) who might be interested in telling her patients that smoke. A few weeks ago when I was there I mentioned it to her. She said she had heard about it but really knew nothing about it. Perhaps she can refer people. In any event, thank you, thank you, thank you.